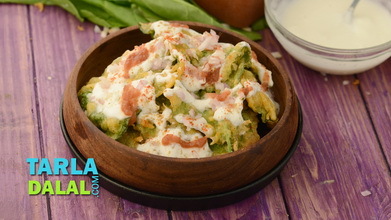 While the very thought that it is healthy is enough to consume sprouts regularly, the ability to transform it into interesting dishes makes the experience more enjoyable. 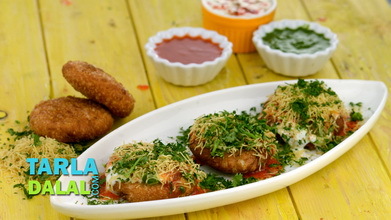 With creations like chatpata sprouts on crispy potatoes, your family will actually start looking forward to ‘sprouts time’. 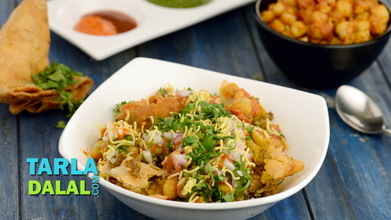 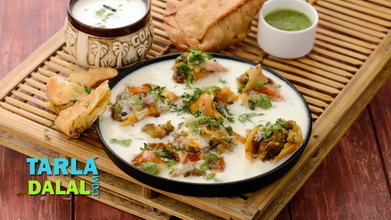 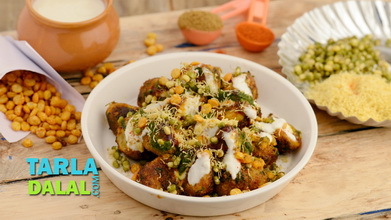 Here, crispy potato slices are topped with a tangy mixed sprouts mixture, creamy curds and temptingly aromatic chutneys too. 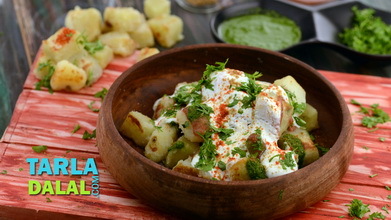 Heat a non-stick tava (griddle), grease it with oil, place the potatoes on it and cook on a medium flame till both the sides are golden brown in colour, using little oil. 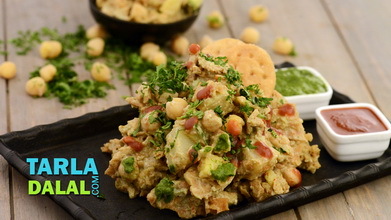 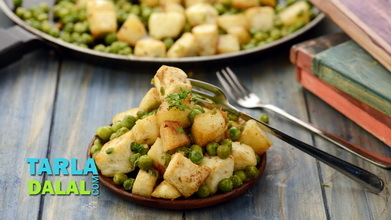 Place the potatoes on a serving plate, put 1 tbsp of the mixed sprouts mixture and spread 1 tsp of green chutney, 1 tsp of sweet chutney and ½ tbsp of curds on each potato slice. 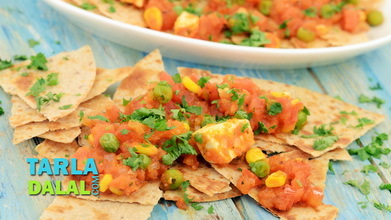 Sprinkle a little chilli powder on top and serve immediately.